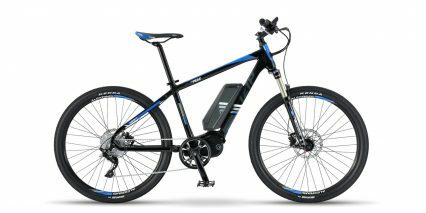 CST MTB, 27.5" x 2.10"
IZIP is taking a cue from Bosch and Optibike, delivering its first mid-drive system with the E3 Peak. 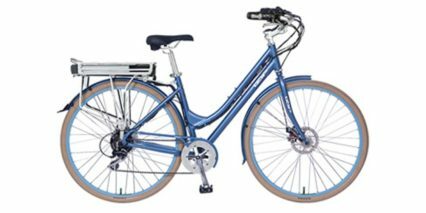 The middrive or “centerdrive” motor offers excellent performance in technical off road settings and really compliments the sophisticated pedal assist features at work here. 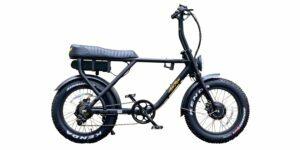 It allows the motor to leverage the rear cassett and compliment rider input while balancing the frame from front to rear and keeping weight low all while keeping the ride smooth. 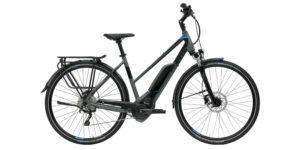 The bike only offers nine gears to choose from in a rear cassette and the motor is noisier than a direct drive or even geared hub design but it delivers great power and comes at an excellent price. Very few mid-drive systems can deliver both power and speed effectively. 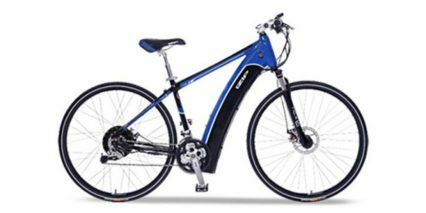 The E3 Peak does this well and features an upgraded chain that’s designed to stay stiff and tight over time where others may become loose. 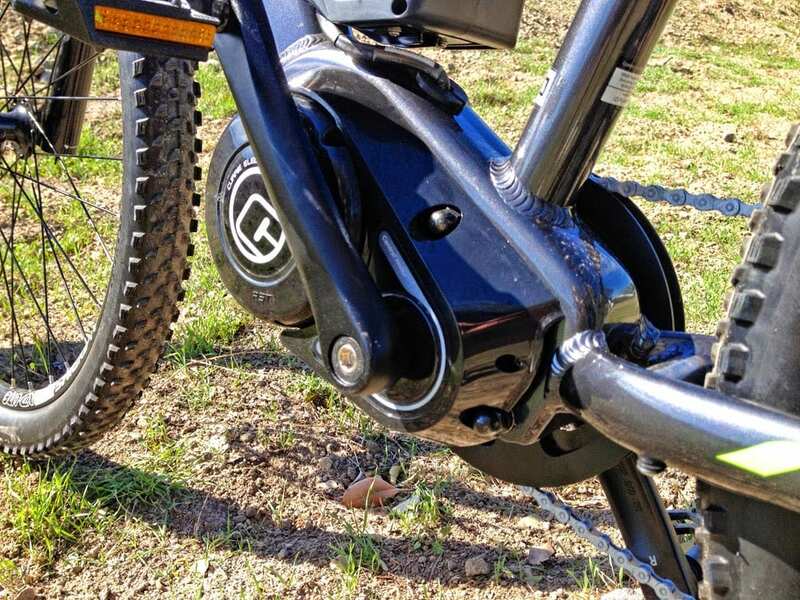 For this and other mid-drive bikes with cassettes, I suggest shifting while coasting or applying minimal pressure when you do shift (both you and the motor) to take care of the chain and teeth on the chain rings but it’s nice that they’ve actually upgraded the metal in use to extend its life. 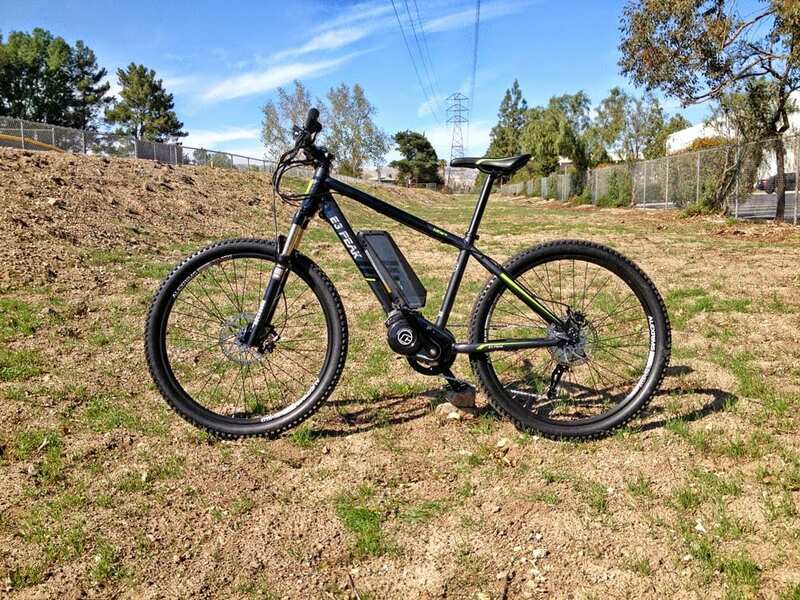 I’ve test ridden this bike several times now and am really impressed with all of the sensors at work to make the motor go. 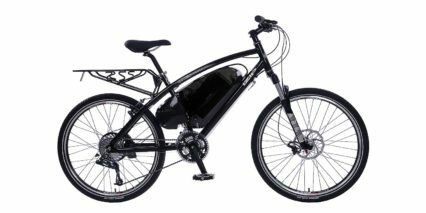 First of all, it’s a 350 watt motor which offers plenty of power in a configuration like this. 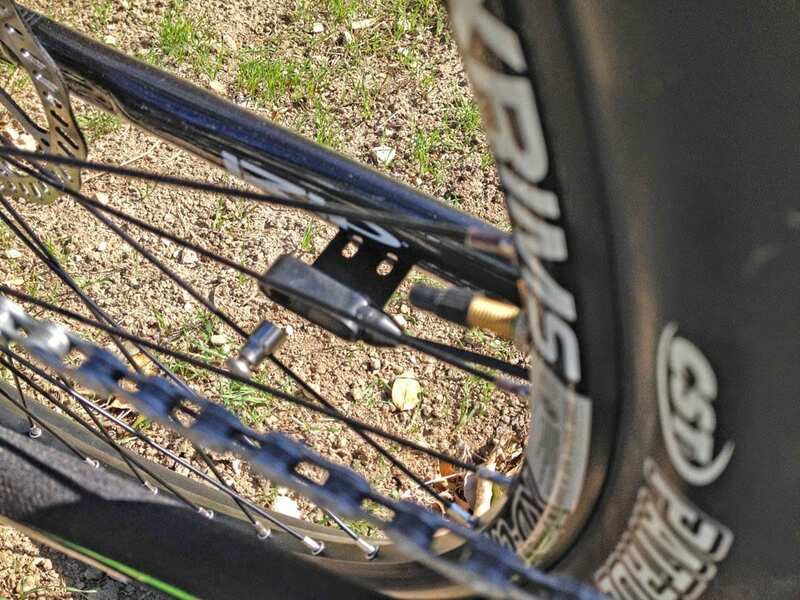 Where many low end bikes only take your cadence or pedal force into account, this system uses both and also measures the speed of the rear wheel. 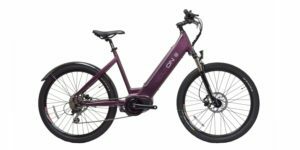 All things considered, this system is way better than what I’ve tried on iGo and EVELO… It’s in a completely different league but still keeps the price relatively low which is great. The real competitors in my mind are Haibike and Felt which offer mountain bike designs that leverage the Bosch system… and tend to cost a lot more. 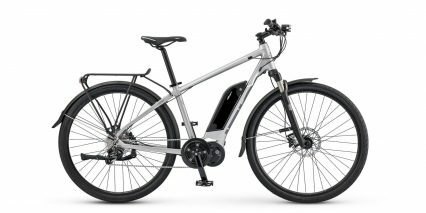 The E3 Peak can hit 6mph in throttle mode or up to 28mph with pedal assist. That’s awesome! 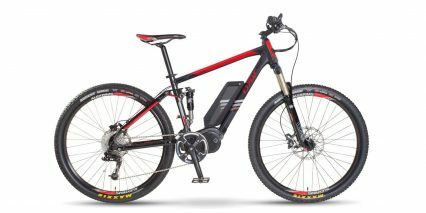 This is the mountain version of IZIP’s line and it’s very similar to the E3 Dash which is meant more for street riding. 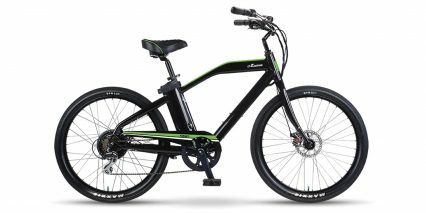 That bike has hybrid tires, a 500 watt rear hub motor and also features a shock with lockout but is a bit more rear heavy given the motor placement. You might consider it for a smoother, quieter rides on streets with moderate hills. For off road conditions and steep hills however, the E3 Peak rules. 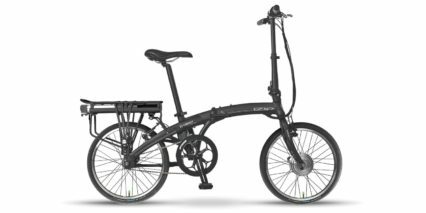 And considering it’s just $400 more than the Dash, you get an upgrade on the front fork and hydraulic disc brakes! 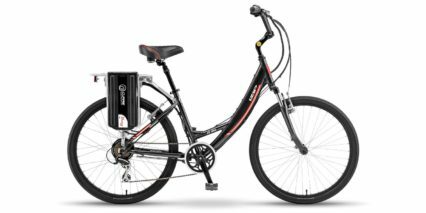 The battery powering this system offers 48 volts of power and 8.7 amp hours of capacity. 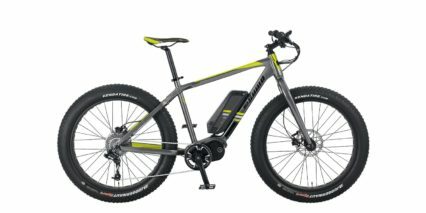 That’s pretty solid; 48 volts delivers good torque for climbing and accelerating. 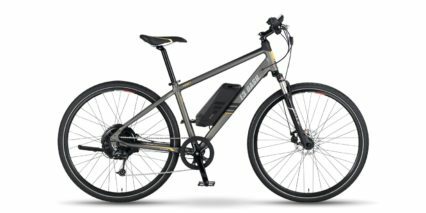 The cells are light weight Lithium-ion design providing lots of charge cycles and the pack comes with a 12 month warranty. 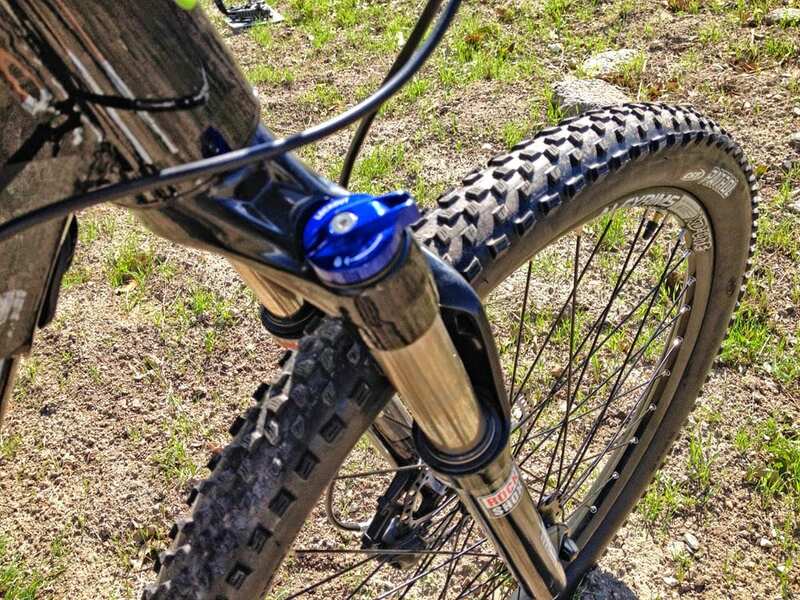 The pack itself is mounted where a water bottle might otherwise sit and the downside is there are no other mounting points. You have to get creative with a seat mount or pick up a CamelBak. 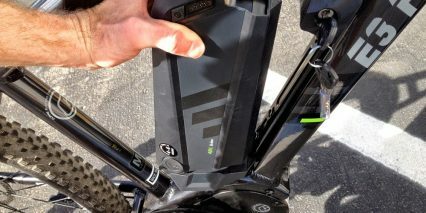 The upside is that the battery locks to the bike, is removable and can be charged separate from the bike. 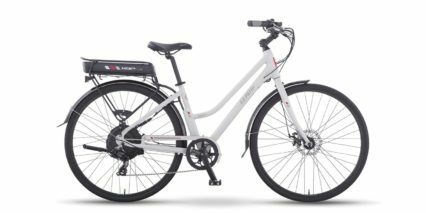 You can also get a second pack or replacement for ~$500 which could be handy for longer rides. 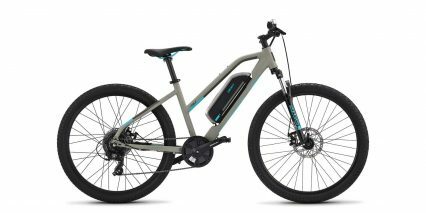 Unlike many other mid-drive electric mountain bikes, the E3 Peak offers both pedal assist and a start-throttle mode. 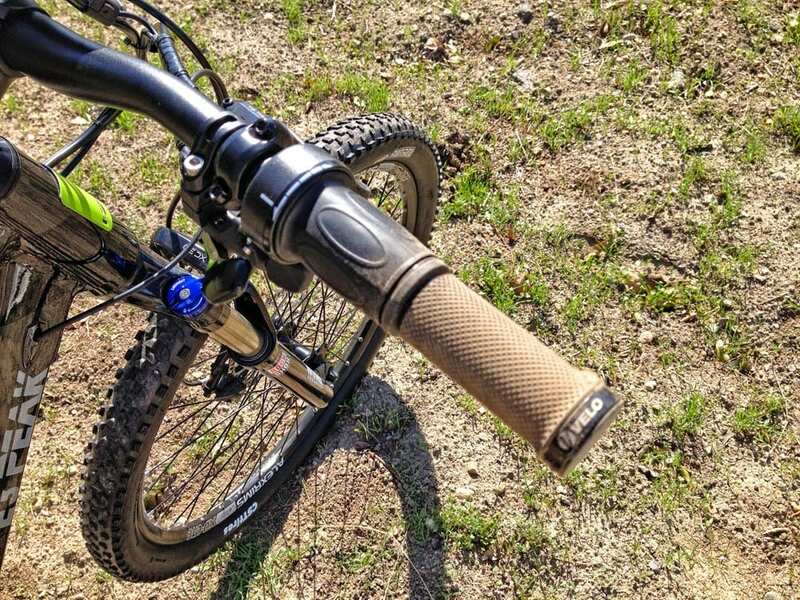 The twist throttle is designed to get you up to speed without pedaling so you don’t have to put your foot down and it goes up to 6 miles per hour on its own or 20 if you’re pedaling along. 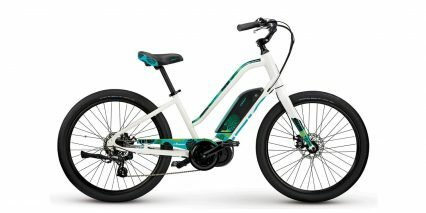 It’s a unique design that provides a bit more finesse when riding. 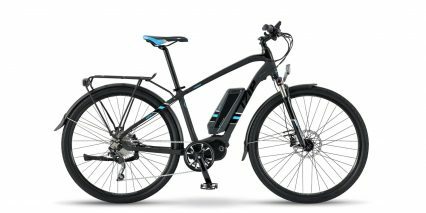 Still, I wouldn’t mind if it behaved more like the E3 Dash and other IZIP bikes, allowing you to throttle up to 20mph without cutting out. 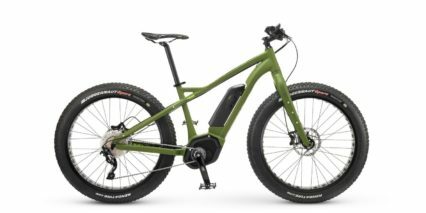 I understand the intended use as a “starter” but could see myself relying on the throttle alone over smooth sections or through mud and water where I don’t want to pedal and get my feet dirty. There’s a lot to say about this bike so I’m going to list a few more highlights. 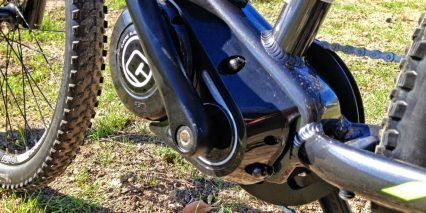 The front fork has a lockout and offers 100mm of travel. 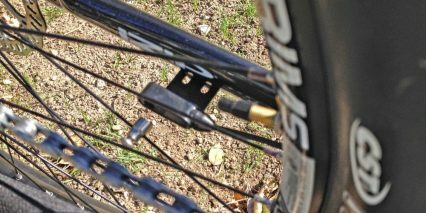 The pedals are a stiff metal design with great traction (though a little narrow). 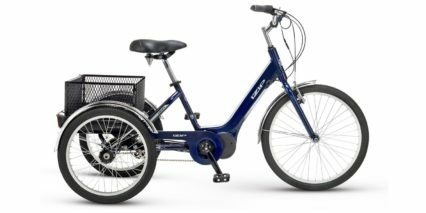 The wheels and seat come with quick release systems which makes it easier to change a flat or swap tires for city riding. Wheel management is made easier due to the lack of hub motors on this bike, just about any shop can service it with no problem. 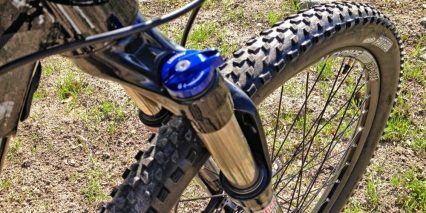 The wheels themselves are 27.5″ or “s/b 650b” diameter which is right between the old 26″ design and the newer 29er type. In my opinion they’re the perfect size. 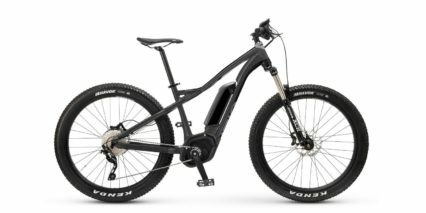 29″ feels too large for tactical riding (and can clip your toe) and 26″ doesn’t offer the same momentum and smoothing over bumps. 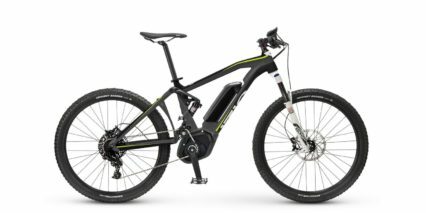 You get a pretty solid package with the E3 Peak and it’s great to see a proprietary mid-drive system that actually works and feels smooth. 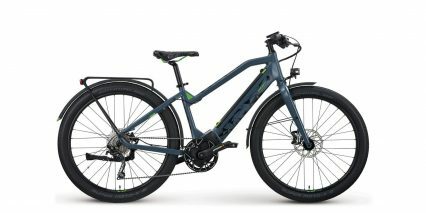 The hydraulic disc brakes, LCD computer with breakout controls that are easy to reach and an overall weight of 48.6lbs is not bad at all. 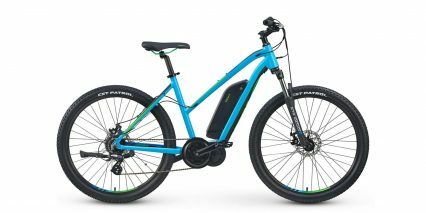 IZIP is even offering a “City Kit” for the Peak and Dash that adds lights, fenders and racks for those who want to use this thing for commuting in addition to off road. 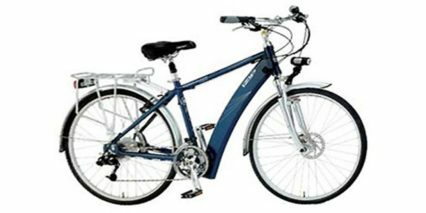 The Peak frame comes in two sizes, M and L but only offers high-step designs and one color (shiny gray). 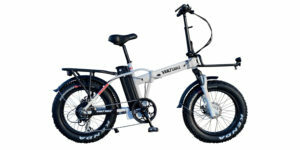 IZIP offers a lifetime warranty on the frame and two years on the motor which is great and this bike will be easier to see and test ride in person than some others because they have a vast network of dealers. 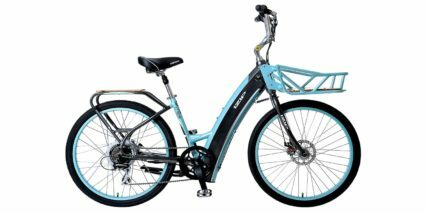 Offers twist throttle mode and pedal assist up to 28 miles per hour! 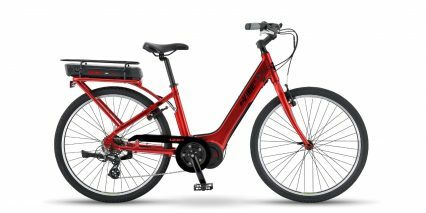 It seems that as of today March 1, 2014 I haven’t seen any of the new Currie Bikes on their web page. 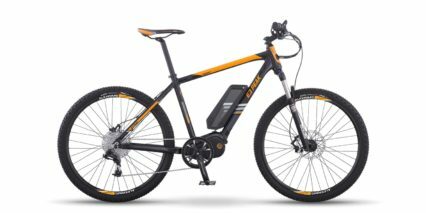 I’m talking about the Izip e3 Peak and the the Izip e3 Dash. Also tried to email them. They don’t seem to be in the habit of answering their mail. Do you know when they will go into production? 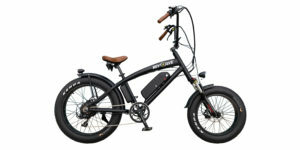 Hello uandb, the CEO of Currie Technologies (Larry Pizzi) has been chatting in the forums regularly at https://electricbikereview.com/community/ and they have listed the new IZIP bikes including the Peak and Dash on their website at http://www.currietech.com/izip-electric-bikes/ and mentioned that they have been arriving at dealers (that started at the end of February 14′) hope this helps you out! 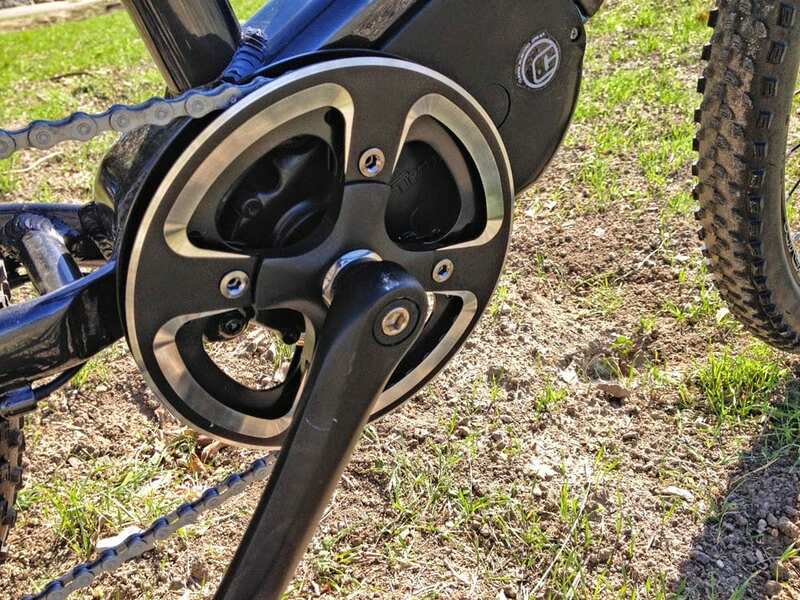 I would like to discuss the freewheeling ease of a hub motor vs. crank mounted motor. 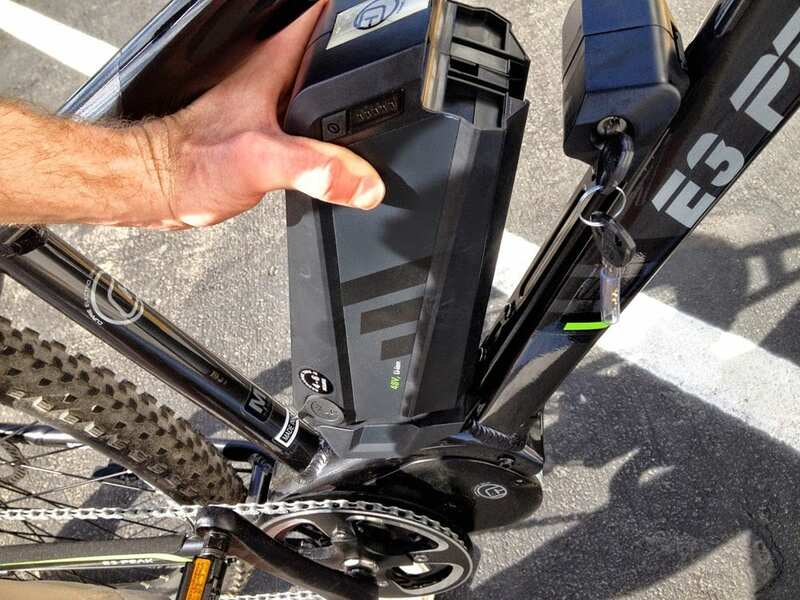 While my hub motor (Prodeco Storm) does exhibit a small drag on the wheel while off power, I wonder if a centrally mounted motor has a similar drag on the pedals. 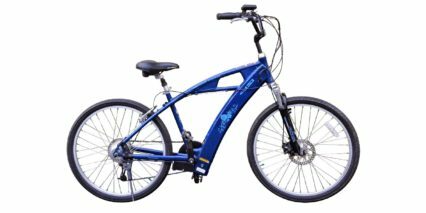 Obviously, center mounted motor has a 0 drag when just coasting, because that is just like a regular bicycle. 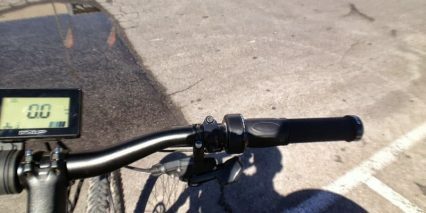 But when pedaling, there could be a drag. Court, you have ridden both Dash and Peak, and could offer a comparison. 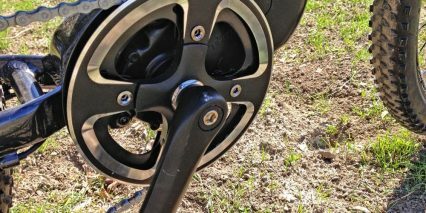 Did you try spinning Peak pedals w/o power with the wheel lifted off the ground perhaps? 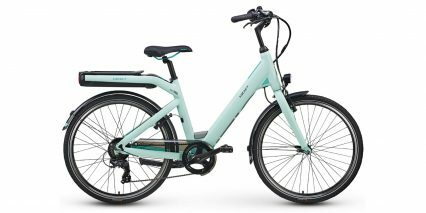 This info would be useful to people who are looking for an e-bike which does well without the motor too, to extend the range, or when the battery goes empty. You make a good point. The only drag that I’m aware of for bikes when coasting happens on direct drive (gearless) hub motors that occurs based on magnets inside repelling when riding unassisted. 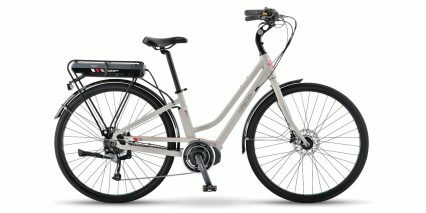 I think that some of these motors do not have freewheels like the mid-drive and the geared hub motors do so they can drag. I didn’t notice this when testing the Dash and the Peak uses a geared centerdrive so I thin they are both good coasters. 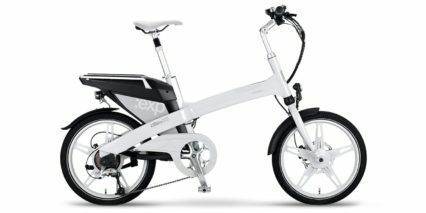 I hope this helps, I am not completely up to speed with the mechanical designs or complexities of these two bikes vs. others but my ride tests when pretty well. 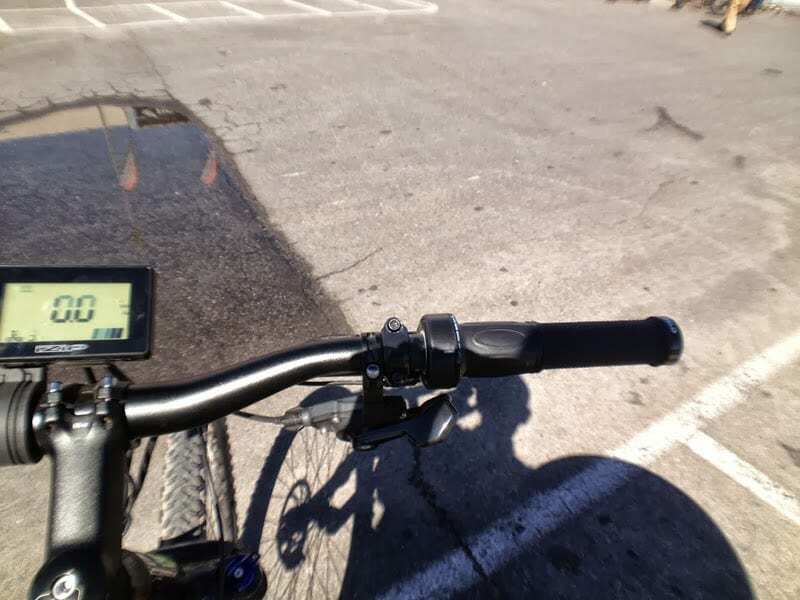 I ride primarily on city mean streets with very light (i.e., packed dirt) trails. I’m a tall woman at 5’11” and 165lbs. Thanks for replying – and your suggestion, Court. I’m learning something new with every post! 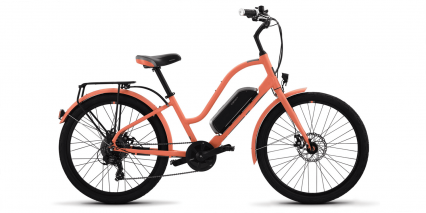 For example, from your IZIP E3 Peak review, I thought the center drive motor had more ‘pep’ b/c it can use the multiplying factor of the gears, whereas a hub motor cannot. I seem to be prone to flats, so the ease of reapir is of interest to me. In a perfect world, I’d rent each model I’m interested in for a few days to see how they are in my hot little hands! Cheers, Court! I’m a little confused by the throttle. 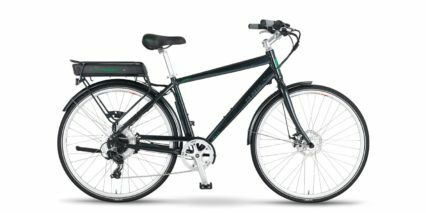 On the video it seems like the throttle will take you only to 7mph without peddling. But then in the post there’s two references to this: “The E3 Peak can hit 20mph in throttle mode or up to 28mph with pedal assist.” Can you help me understand these throttle distinctions? Thank you! 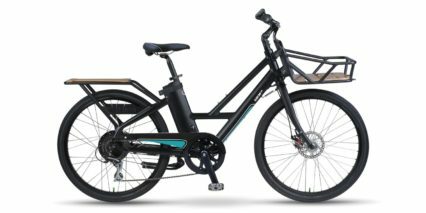 Is this e-bike compatible with either 26″ or 29″ wheels? 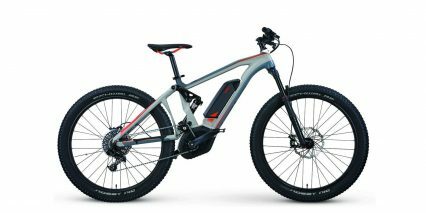 There is a very limited rim/tire choices with the 650mm. 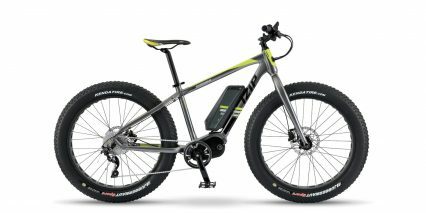 What is the weight of the battery? You mentioned carrying a second battery for longer trips, and I was curious about the additional weight. Court, thanks for all the excellent reviews! I am 6’3″ with a 36″ step over height. 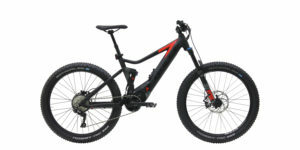 I am interested in the Peak, the Dash, the Neo Cross and the Prodeco Outlaw. Do any of the above fit a tall person better? 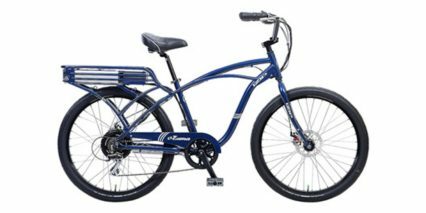 I am thinking maybe I should just build my own up with a 22″ frame, but if one of these would fit well, I would rather just get it all assembled. 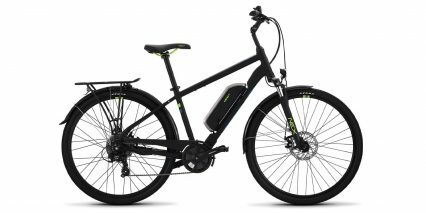 Unfortunately I live in an area 6 hours from the closest shop that carries electric bikes, so I can’t just try them out. 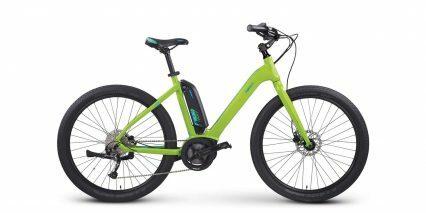 Hi Rob, I believe that spare batteries for the IZIP E3 Peak (and the dash) weigh about 5.5 pounds. 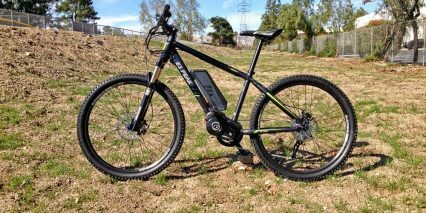 Hi Rob, the throttle can be used at any time but will only power the bike up to 7 miles per hour before cutting out. It’s meant to get you started but won’t go any faster than 7mph and will also stop once you’ve reached that speed. Hope this helps! so why don’t you just edit the mistake on the article where you said it goes 20 throttle only? Thanks for the feedback Fred, I’ve gone through and edited bits of the review to make it easier to understand how the throttle works. 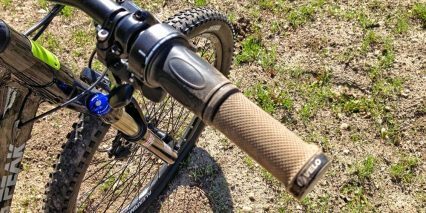 In short… if you don’t pedal the throttle will hit 6mph but if you do pedal it can hit 20mph before cutting out. 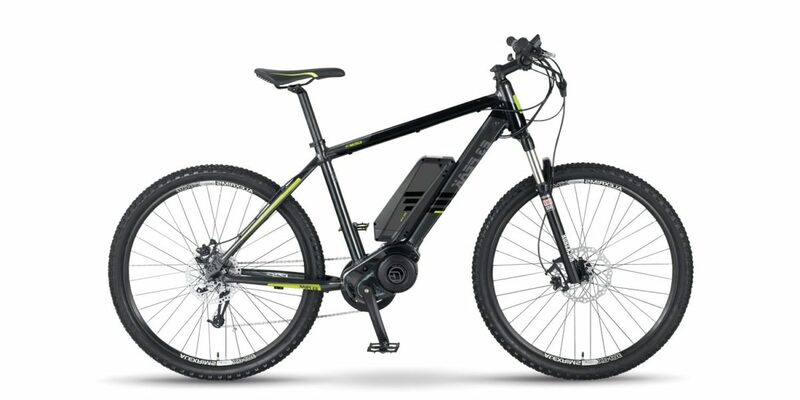 Beyond that, you can even reach ~28 mph in pedal assist mode but the throttle won’t help at all for speeds over 20mph. Court, I really value your reviews, and I have come a long way in terms of understanding the array of products out there. 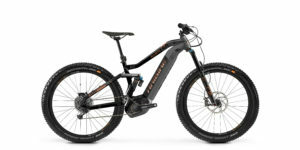 How does the Izip Peak stand up against Evelo Aries or the Haibike Xdury Rx29 or Haibike Xdury Trecking Rx. Your preference for Bosch mid-drives is clear, but is the Peak closer to the Evelo line or the Haibike. It seams the peak is priced between them.